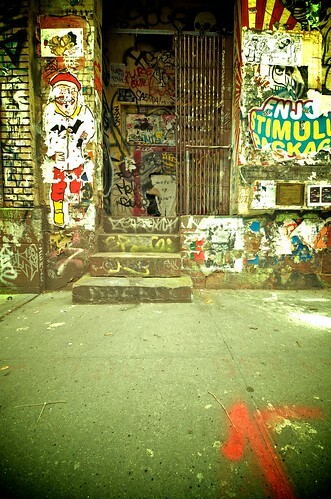 $2000 / 1 BR – HUGE 400 SQFT Ground Level Fixer Upper SoHo!!!!!!!!!! I imagine that’s what the Craig’s List Post would look like for this place. I love how brokers can spin anything on Craig’s List. I stumbled upon this lovely abode only a few blocks from where I saw my first apt. listing ever about 10 years ago. In fact, the description isn’t too far off. ~ by mrpatrickblog on April 24, 2011.